In property proceedings, the Court may make such orders as it considers appropriate in relation to the property of the parties of the marriage or relationship, which may alter the interests held. It is, however first necessary to identify and value the existing legal and equitable interests each (or both) of the parties have in the property of the parties to the marriage or relationship. An issue that often arises in property matters is how to deal with superannuation interests and, in particular, how to calculate the value of those superannuation interests for family law purposes. This may be somewhat complicated if the superannuation interests are in the ‘growth’ phase (which is the period of time that the party who owns the interest is amassing superannuation to be spent in retirement). It can be difficult to appreciate how a family law ‘splitting’ order made now will or can affect your superannuation interests, which may not vest for many years. Obtain valuations for superannuation interests. Know what kind of interest a party has in a superannuation fund (for example, is it an accumulation interest? Is it a defined benefit interest?). Obtain evidence from an appropriately qualified expert as to the effect of a proposed splitting order. In Bulow, the parties were married for 19 years before they separated. The trial took place 4 years after separation. The main issue on appeal was the treatment of the Husband’s superannuation interests. As an engineer for the Commonwealth, he had superannuation interests in the Commonwealth Public Sector Superannuation Scheme (PSS). He held his interests in a defined benefit scheme. The Husband also increased his voluntary superannuation contributions after separation from 2% to 10%, meaning by the time the matter was determined by the Court at first instance, his interest was much higher than it would otherwise have been had he maintained his voluntary contributions at the same level as prior to separation. At first instance, the trial judge made a splitting order that treated the Husband’s superannuation interests as if it was an accumulation account and did not take into account PSS’s Trust Deed when making that order. As noted above, the husband held his interests in a defined benefit scheme. The Husband did not produce any expert evidence as to the effect of the splitting order on his superannuation interests. He said he was unable to find an expert willing to give evidence, with the accountants he did approach refusing on the basis that there would be “legal implications” to doing so. This claim was wholly rejected by the Court (unsurprisingly, given that expert evidence is readily available and obtainable in this area). The Full Court said, however, that the trial judge should have sought evidence on this point and it was entirely within the Rules of the Court to seek same, given it is “central to the task of doing justice and equity”. In addition, the Full Court was not satisfied that the trial judge adequately considered the Husband’s post-separation contributions or explained his reasons for his consideration. The appeal was therefore successful and the matter remitted to the Federal Circuit Court for rehearing. It is not unusual to misunderstand how superannuation is calculated for family law purposes. What can and cannot occur depends on the type of interest held. Before the Court can make a splitting order, it is required by section 90XT (formerly section 90MT) of the Family Law Act 1975 (FLA) to value the interest. The valuation must be in accordance with the Family Law (Superannuation) Regulations 2011 (FLR Regulations). Valuations of accumulation interests in the growth phase are fairly straight forward. Usually a recent member’s statement or completed Superannuation Information Form is sufficient to determine same. Defined Benefit funds can be more complicated. The Superannuation Information Form is usually only the first step of obtaining a valuation. Some funds will provide a valuation (for example, QSuper), however you may be required to engage an appropriately qualified expert to value the interest. How the valuation is to be calculated and the methods engaged are set out in the FLR Regulations. Some funds are able to approve special methods or factors (see regulation 38). PSS is one of those funds. It is important to remember that the FLA provides for splitting orders to be made when splittable payments become payable (that is, when the member spouse satisfies a condition of release). 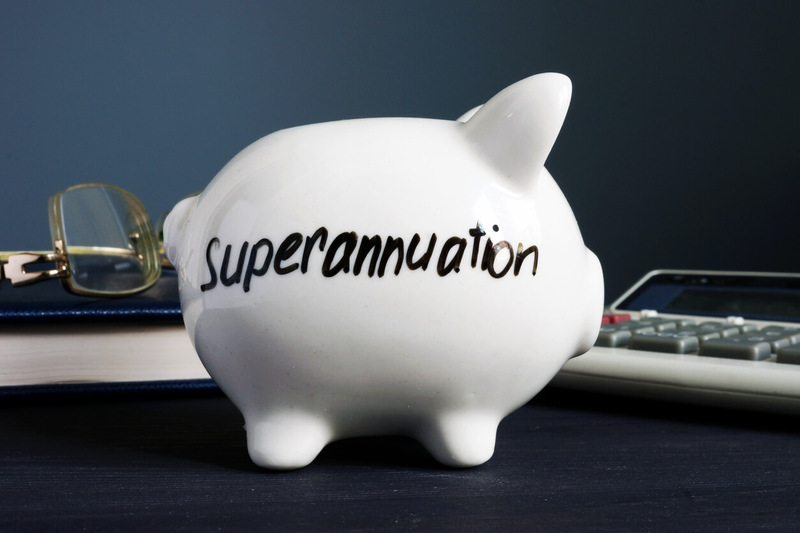 The FLA does not provide for the underlying superannuation interests themselves to be split. This is governed by Part 7A of the Superannuation Industry (Supervision) Regulations 1994 (SIS Regulations), which allows for the creation of a new superannuation interest in the new non-member spouse’s name, such that their interests is separate from the member spouse within the fund. Crucially, defined benefit funds are not governed by Part 7A of the SIS Regulations. As such, one must consider the governing rules of the fund (set out in the Trust Deed), which set out how and the effect of any splitting order on the underlying interest in the particular fund. In Bulow, the trial judge erred in assuming that the effect of the splitting order under section 90XT(1) is the same for the Husband’s defined benefit interests as it would be if he held accumulation interests in that fund. Furthermore, it is wrong to assume the effect on the Wife in receiving the split pursuant to the Order is the same as if that split was for an accumulation interest. Rather, the Judge should have considered the specific requirements and ramifications of the PSS Deed’s provisions. The Court should consider the nature, form, and characteristics of the interests held by each of the parties consequent upon the proposed splitting order, the future benefits for each party vesting, when the respective interests might vest and the form in which any benefits might (or must) be taken at that time. It is of utmost importance that, when you are finalising your property matters, you correctly identify the type of superannuation interest you or the other party have in any particular fund. Once this is known, it will make it easier to determine whether or what kind of valuation is appropriate, and if one is necessary, to obtain same before finalising your property matters. Failure to consider the above may result in a division which was not what was intended and/or may have adverse consequences for one or both of the parties. If you would like guidance on these matters, please contact one of our solicitors today.